The Sony i1 Honami cameraphone rumors are in peak mode, as more and more speculated details trickle down through the corporate cracks. Besides top notch specs, the handset is interesting mainly with the Cybershot-quality camera in it, as it will be a direct take on the unwieldy Galaxy S4 Zoom, or the 41 MP PureView Nokia EOS, which will run Windows Phone. Esato forum members, who have been pretty spot on Sony's plans before, have created fan-made renders of the Honami, based on alleged insider info about prototypes bandied about in Sony's labs. Supposedly the device won't be thicker than normal, despite the better camera inside, come with glass unibody and waterproof certification, and will feature speaker grill at the bottom of the back. The renders are still being worked on based on feedback from those people in the know, so they might have more details later on, and this could be just one of the end design paradigms of the Japanese for the Honami. Other reshuffle is the charging port on the side, which is an acquired taste, but if the whole thing materializes anything close to these renders below, and with the rumored phone and camera specs, Sony has a true shot at Android glory. Moreover, a Sony C6903 phone, which is said to indicate the Honami, just appeared passing through an Indonesian carrier body, adding more water to Sony's cameraphone rumor mill. You can see the listing in the slideshow below after the renders. 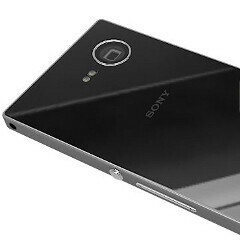 Sony can make gorgeous phones! This design render must be from Samsung. Just saying. Thumb down for you James! In Brasil costs the double ! Have you read at least titles of this article? Does it matter to you? It isn't a Samsun phone. Or is it Apple this week? I can never tell... But since these are renders based off rumors that they heard, I'm sure it wont look exactly like this. Dont think so. The shutter in the renderings is rectangular. Where as the lens and shutter in the 'zoom' are all circular with various texts about the lens written in. Either this guy is really bad at it or the actual lens is very different. So finally you have admitted that EOS is better than all. At least you didn't mention Zoom here. Ugly !! Not in line with Sony's current design ! But Lumia and Samsung phones are good-looking and not soap-looking. No offense. This is so not true... Sony and Sony-Ericsson are/were one of the few manufacturers to take risk at designs and making interesting changes in their devices... Look at Tablet S, Xperia Play, Xperia S,P,U, Xperia SP, and even the Z is different from what was showed previously... I on the other hand have an Xperia Acro S with a boring and normal look that does not stand out, but it's features fit me well..
A fan rendering but where is the xenon flash in its horizontal position?? A true camera phone has xenon flash in landscape. Looks to be a nice phone...but...Att exclusive? Can I get it at subsidized pricing?